I LOVE rainbow activities and shamrocks! We love to do potato stamping for St. Patrick's Day, play St. Patrick's Day games, and do all sorts of rainbow crafts and activities. My absolute favorite St. Patrick's Day activity is probably the easiest activity you could ever do.... but it is ALWAYS a hit. Hunting for gold is always fun! Just grab some plastic or metal pieces of gold and hide them around the room. Make sure the gold coins are big enough that they won't be choking hazards! 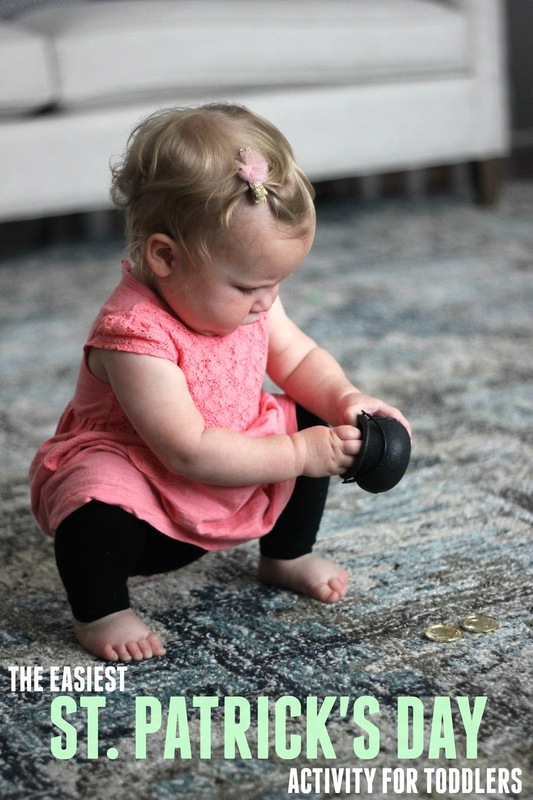 In my one-year-old's case I just dropped the coins around on the floor on our busy rug. I didn't really have to hide them. For older kids I would've made it harder! Next I gave her a little plastic Leprechaun pot and told her to put all of the gold coins in her pot. She ran from coin to coin, putting them into her pot. Once she was done she sat down and checked out her loot... and then brought everything back to me and we played again, and again, and again. Hunting for gold is the best! We also think it is fun to hunt for a pot of gold like a spy! If you haven't tried that yet, put it on your agenda for this week! 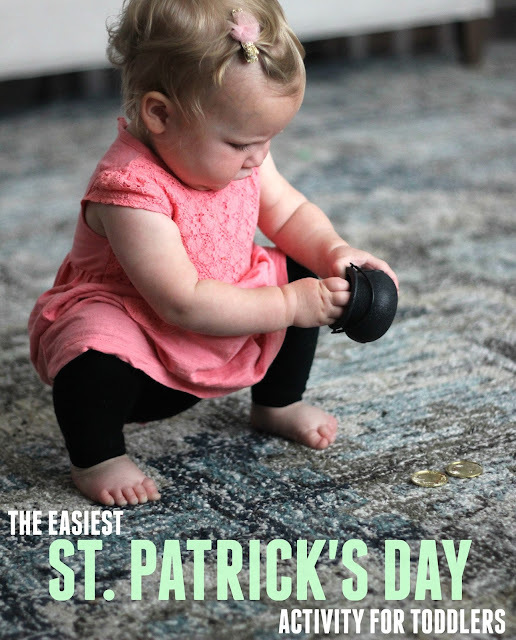 Have any other favorite St. Patrick's Day activities for younger toddlers? Please pass them along!